The number of Americans infected by the AIDS virus each year is much higher than the government has been estimating, U.S. health officials are expected to report Sunday, acknowledging that their numbers have understated the level of the epidemic. The country had roughly 56,300 new HIV infections in 2006 - a dramatic increase from the 40,000 annual estimate used for the last dozen years. The new figure is due to a better blood test and new statistical methods, and not a worsening of the epidemic, officials said. The revised estimate by the Centers for Disease Control and Prevention and the methodology behind it were to be presented Sunday, the opening day of the international AIDS conference in Mexico City. "We do have an epidemic in the United States - an epidemic that is more than 50,000, ravaging gay and minority communities," Dr. Kevin Fenton of the CDC told CBS News. Based on the new calculations, officials believe annual HIV infections have been hovering around 55,000 for several years. 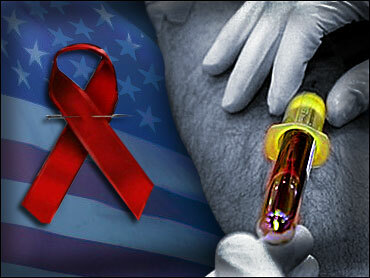 According to current estimates, around 1.1 million Americans are living with the AIDS virus. Officials plan to update that number with the new calculations, but don't think it will change dramatically, a CDC spokeswoman said. Past tests could only detect the presence of HIV, so determining which year an infection took place was guesswork - guesswork upon which the old 40,000 estimate was based. The new estimate relies on blood tests from 22 states where health officials have been using a new HIV testing method that can distinguish infections that occurred within the last five months from those that were older. Last week, President George W. Bush signed a $48 billion global AIDS bill to continue a program that he called "the largest commitment by any nation to combat a single disease in human history." "These are extremely complicated statistical methods," and CDC officials wanted the work to be thoroughly reviewed by outside experts, Gerberding said. CDC's findings are being published in the Journal of the American Medical Association.